I didn't realise how difficult it would be to express it in words how grateful myself and Martyn are for your amazing work and the part you played in our day (and the run up to it). Saying thank you just isn't enough! When we started looking for photographers, the image in my mind was of a bossy person with a camera spending a whole day telling people where to stand, keeping the bride and groom separate from their guests for a long part of the day and then having an album full of posed, uncomfortable looking pictures. All we knew is that we didn't want this! We met Mark Pugh at a wedding event and instantly knew he was different from the other photographers we had met so far, his first interest was in us as a couple and just letting us browse through examples of his work rather than trying to sell us anything, this was reinforced when he came to see us at home, again asking questions about us and what we were looking for. His relaxed nature suited us perfectly and convinced us that all he wanted was to help us have a perfect day and beautiful memories. Our preWED helped us understand how things would work on the day and got us used to Mark's style. Most importantly, it made us understand that we didn't need to spend a large part of the day posing for pictures, we could just enjoy the day, be ourselves and pretty much forget that there was anyone taking our picture. I would definitely recommend a preWED to anyone, especially if they are normally a little nervous in front of the camera. The day itself went without a hitch and even though we couldn't venture outside for pictures due to the weather it didn't matter, Mark found ways to make interesting and beautiful pictures without making us get wet!! Most of the comments from our family and friends were that Mark was always there in the moment but never in the way and that the flow of the day was never disrupted for photos to be taken. Looking back through the pictures we can't understand how some of them were captured as we don't remember a camera being pointed at us at that time. Mark has managed to capture pictures of us both at our most relaxed, nervous and happy moments, all of them looking completely natural and comfortable. We are so grateful for all of Mark's, Pam's and the team's hard work in helping make our day so special and giving us a collection of pictures to treasure forever. We are (and will continue) to recommend you to anyone and everyone that will listen to us and will most definitely be back for family portrait pictures once we have started a little family of our own. 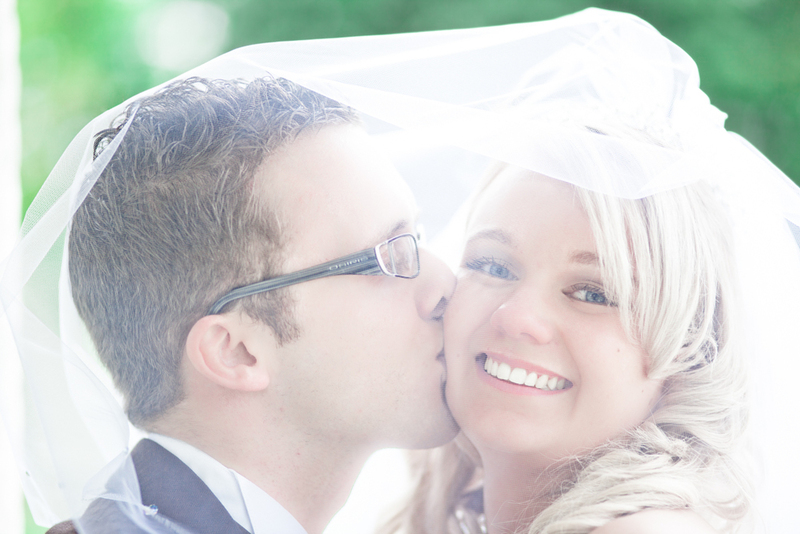 We wanted to thank you for capturing the happiest day of our lives. When we were planning our wedding day, so many people said to us that finding the photographer would be the easiest part, and they all had someone to recommend. But for us, that was the hardest part, until we met Mark at a wedding event. Before that day we were really struggling with finding the right person to document our day; we just weren't clicking with any of them. When we met Mark we got on instantly, and when we left the wedding event, all we could talk about was his incredible examples of wedding photography and how lovely he was. When he gave us his phone number, I don't think he expected we would call him to book before we even got home, but we did because finally we had found the right photographer and we desperately did not want to miss out after seeing his work! Our pre-wedding shoot was so much fun and really gave the three of us a chance to get to know each other better so we all felt comfortable - the photos that Mark took that day were just amazing and we could not believe our luck that this amazingly talented man would be photographing our wedding day!! Our loveFILM was just perfect and we still sit and cry every time we watch it. It is just so us, and Mark knew us well enough to know that it would be perfect. What we didn't realise at the time was that not only were we getting Mark but we were also getting Pam - the amazing lady who helped create our loveFILM. 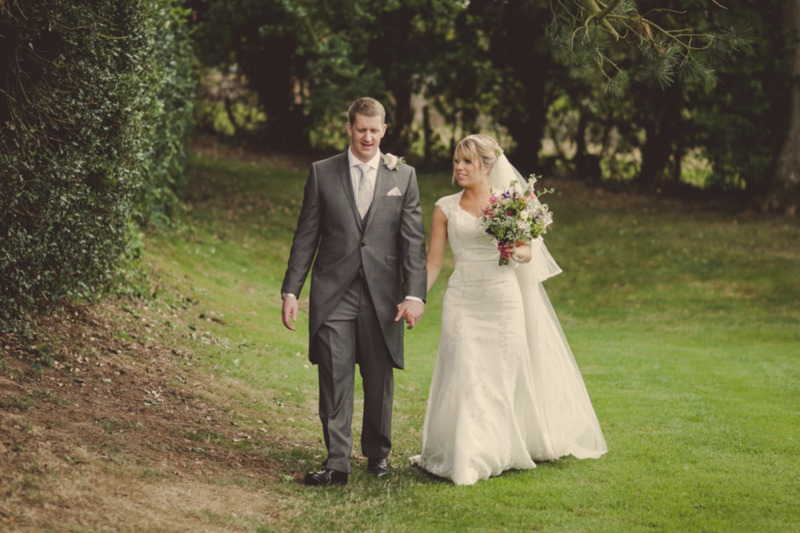 When Mark and Pam arrived at my mum's house on our wedding day I instantly felt at ease, and felt so calm knowing how professional they both were and that they were there to help wherever they could. Pam and I clicked instantly, and she felt more like a friend - it was so lovely to have that during my preparations. I never felt like there was a camera in my face, it was all so relaxed and it was pretty much like they weren't there - but then when we saw our photos, they did not miss a thing!! Everything from our gorgeous flower girl showing off her painted toes to my mum welling up - it is all there, and makes a collection of wedding photos that we could never have imagined in our wildest dreams - utter perfection thanks to the two of them. When it came to them leaving our wedding, we both felt so sad - Mark and Pam both became so much more than photographers, they became friends and we both thank you both from the bottom of our hearts for all you did for us. Thank you, thank you, thank you and a million times over. Mark Pugh gave us a totally professional, yet personal experience. We are thrilled with our wedding photographs and were spoilt for choice when deciding which to include in our wedding album. Our wedding pre-shoot was a great way to get to know each other. MP really picked-up on what we wanted; by the time our big day came around, we felt comfortable and confident that we were all on the same page. The day went perfectly, and MP managed to capture every bit on camera for us. We are so happy that we chose Mark Pugh as our photographer and will treasure our album.